Update: #2.5 Yosemite Spotlight, done right! Use Spotlight to play a song in iTunes! YES! THAT'S RIGHT! Play any song of choice that's in your iTunes library / or computer straight from Spotlight! The search and queue feature on iTunes is irreparably slow, broken and cumbersome to use. No need to tab in and out of iTunes to play your next track while you're working either! Spotlight it, hit enter and you're back to whatever you were doing! Apple has built in a simple calculator and metric convertor as well, tools literally right at your fingertips. 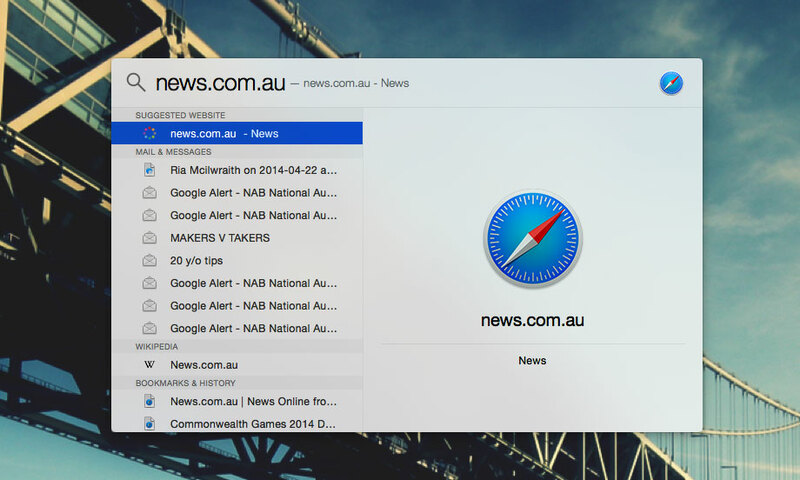 You can type in any web URL in Spotlight and it'll take you straight there in Safari. Definitely my favourite use of Spotlight is the music search/play feature! Can't work without tunes and can't work with dud tunes either! Let me know what features you like best about OS X Yosemite in the comment section below! (AAPL) Apple's share price is ready to rise!